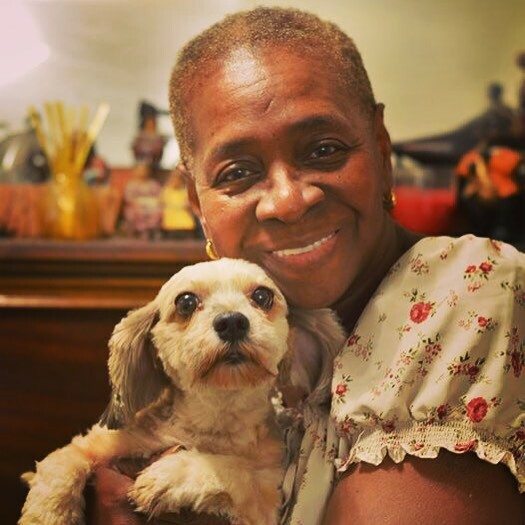 Today we welcomed Eunice and Teddi of Brownsville, Brooklyn, to our Ruff Riders family! Eunice’s daughter asked us for help getting Teddi’s fleas under control. We delivered a “flea kit” to their house: Capstar, blue Dawn detergent (for flea baths), a flea comb, and a new brush. We also shared info on how/when to use everything, along with tips for getting rid of any critters hiding around the house. All of this is possible because of generous donations from our Amazon wish list and cash donations to fill in the gaps. Thank you to everyone who has supported us! We have many more families on our wait list, in need of assistance, but we can only help if we have the resources. Every donation helps us welcome another family into our program. Can you help us grow our Ruff Riders family?